The security of your commercial property is one of the most important factors when it comes to creating an efficient business. While you do likely have some form of security in your business, security systems have come a long way due to technology, so it may be time for an upgrade. So, if you’re looking into security cameras in Bankstown or the surrounding areas, here are some tips to strengthen the security in your business. 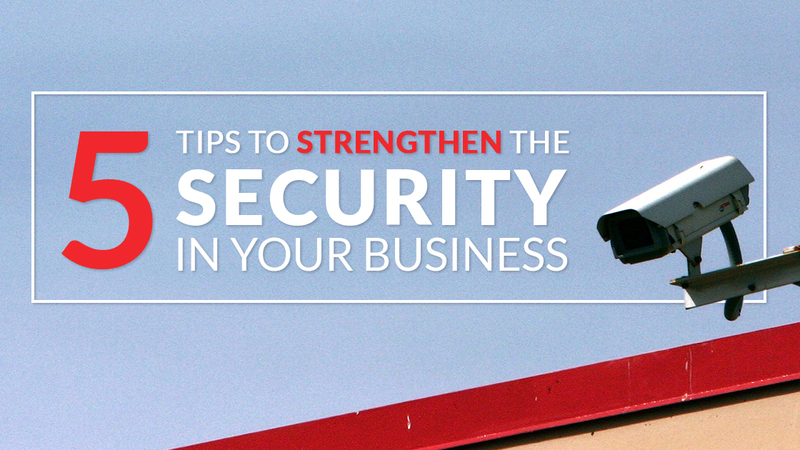 First and foremost, the entry points to your building should be very secure. This includes the use of adequate locks and access control. Each entry point should be built solidly, especially windows, and always make sure you properly lock up every time you leave the building. Each entry point should also have a security camera and an alarm for maximum safety. Cameras are quite prevalent when it comes to business security, but more often than not these cameras are low quality and often have a hard time clearly detecting the intruder. Also, your building should be equipped with enough cameras so that every access point can be viewed. Cameras with night vision are a great option, giving you 24-hour footage. Perhaps one of the most important security measures nowadays, as a large portion of our information is stored online generally. Always make sure you’re using a reputable antivirus and firewall software, encrypting your important data and regularly backing it up, and using strong passwords for all the applications you use. Consistently checking on all the security measures you use in your business will ensure they are still doing their job correctly. If you do this, you’ll be able to see if any cogs in your system are faulty, allowing you to fix them. A very popular security measure nowadays, back-to-base monitoring takes your level of security to a whole new level. Having your premises monitored 24/7 will give you extreme peace of mind. If an alarm goes off or an intruder is present, you, someone close to you, or a patrol car will be notified instantly. At Red Handed Security, we offer the best in security systems across Sydney, from CCTV systems to 24-hour monitoring. If you’re looking to secure your business through professional CCTV installation, give us a call today on 1300 13 40 33!